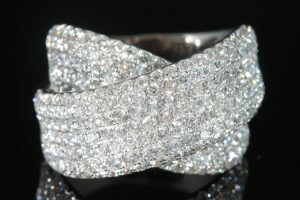 This Sri Lankan sapphire and diamond bracelet, designed in the 1950’s, epitomizes the style of its era. Following a period of austerity which accompanied the war, the 1950’s heralded a decade of welcome prosperity. 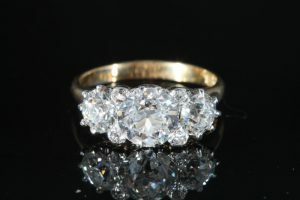 From a private Irish collection and estimated at 60,000-80,000 it is the main highlight of the evening jewellery sale at James Adam in Dublin on May 15. 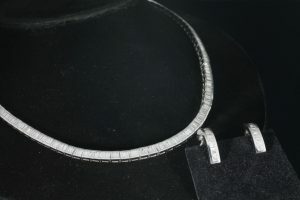 Mounted in platinum and gold the bracelet is set with seven cushion-shaped sapphires weighing approximately 45 carats, joined by articulated segments of geometric design with old cushion, round and baguette-cut diamonds weighing around 25 carats. Sri Lanka, formerly Ceylon, is home to an abundance of gemstones of superior quality and is sometimes referred to as the island of jewels. 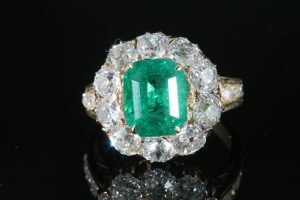 The auction offers 247 lots of contemporary and period jewellery and the catalogue is online. 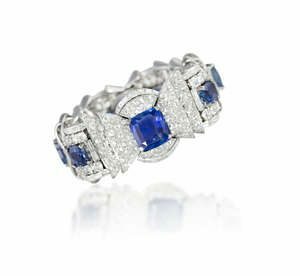 There are diamond rings and coloured stones like sapphire, ruby and topaz in a variety of settings at the sale of jewellery, watches and silver at O’Reilly’s, Francis St., Dublin on August 24. The catalogue is online. Here is a small selection. Tags: JEWELLERY AUCTIONS, O'Reilly's of Francis St.